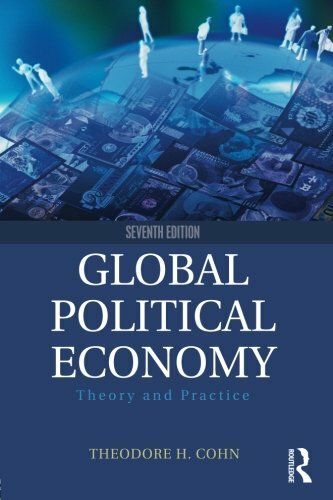 Praised for its authoritative coverage, Global Political Economy places the study of international political economy (IPE) in its broadest theoretical contextnow updated to cover the continuing global economic crisis and regional relationships and impacts. This text not only helps students understand the fundamentals of how the global economy works but also encourages them to use theory to more fully grasp the connections between key issue areas like trade and development. Written by a leading IPE scholar, this text equally emphasizes theory and practice to provide a framework for analyzing current events and long-term developments in the global economy. Focuses on the ongoing global economic crisis and the continuing European sovereign debt crisis, along with other regional economic issues, including their implications for relationships in the global economy. Offers fuller and updated discussions of critical perspectives like feminism and environmentalism, and includes new material differentiating among the terms neomercantilism, realism, mercantilism, and economic nationalism. Updated, author-written Test Bank is provided to professors as an e-Resource on the book’s Webpage.